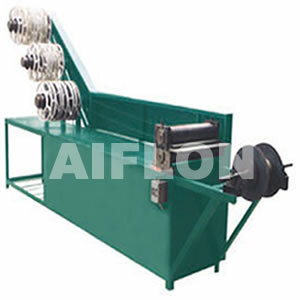 ﻿ Non-metal Tape Cutter - China Non-metal Tape Cutter Supplier,Factory - Cixi Aiflon Sealing Materials Co.,Ltd. Cut graphite, PTFE, (Non) asbestos sheet /roll into tape with for filler of SWG with thick. 4.5mm and 3.2mm, Special width on request. 5. Work range: 0.4~1.0mm thick.